I love this Simple S’mores Recipe with an Indoor Campout idea from Six Sisters’ Stuff. Keep these ingredients in the back of the pantry for a bad weather day, and surprise your kids. It’s also a great way to include little ones in S’mores without the danger of real fire. How fun! Thank goodness there are brilliant mommas out there sharing their ideas for indoor activities. This Masking Tape Racetrack from SheKnows would keep my kids busy for HOURS, either now on a rainy day or during a string of sick days in the winter. You can use blue painters’ tape instead of masking tape for less stickiness. 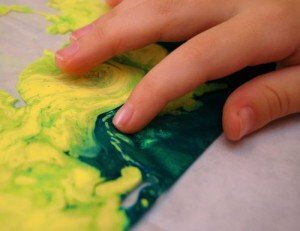 This No Mess Marbled Painting from Inner Child Fun is a great way for kids to get tactile and artistic without making a mess! You’ll need a large ziploc bag, baby oil, water-soluble paint, and packing tape. Kids will love this noisy Bubble Wrap Hopscotch from Miki’s Scrapbook. Start saving up your packages’ bubble wrap so you’re ready for the next rainy day! Be sure to write on the smooth side of the wrap. We’re huge Board Games fans at our house! 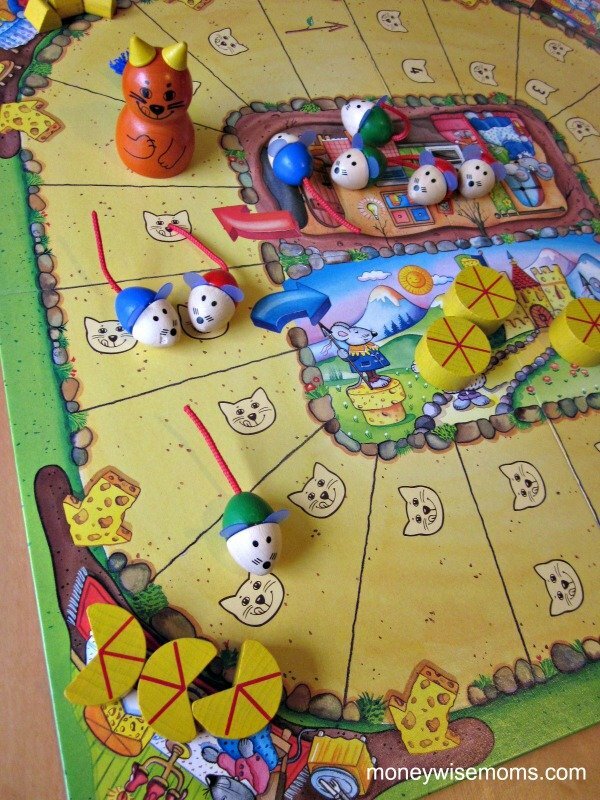 I’ve reviewed a number of kids’ board games here at MoneywiseMoms, so you may find some that are new to you. Since my girls are now 6, we’re teaching them some of our favorite non-kid games, like Ticket to Ride, and they’re eager to learn more this summer. If you want to get out of the house on those stormy days, check out the 2012 Summer Movie Programs, Kids Bowl Free, and Kids Skate Free.